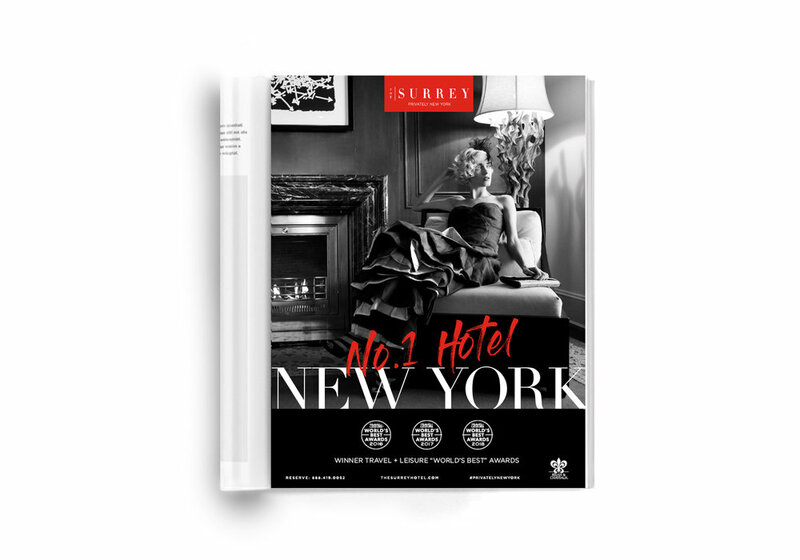 A discreet luxury hotel on Manhattan’s Upper East Side, The Surrey challenged us with giving new life to images that had been in full rotation for several years. 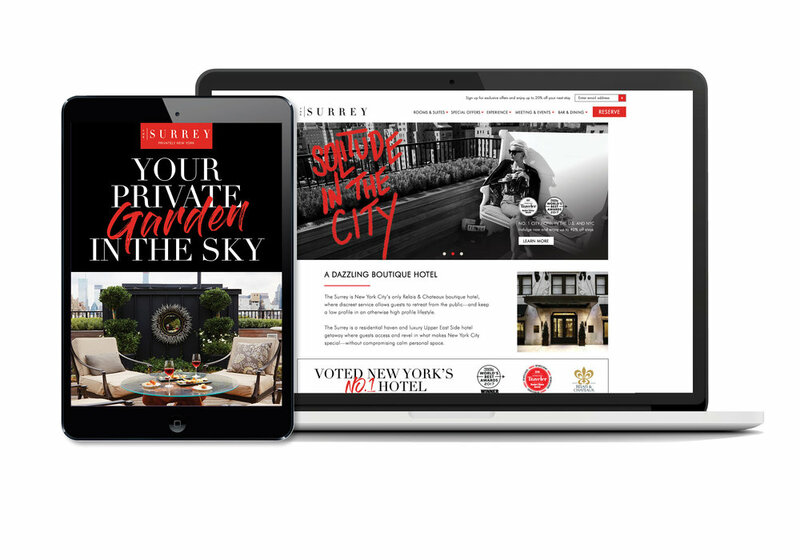 With the goal of defying typical hotel conventions while enhancing a bit of edge already inherent in the brand’s DNA, we used bold design, typography and irreverent copy to enliven the work with more storytelling and confidence. an invitation-only program offering privileged access to the hotel’s signature amenities and services. that served La Maison du Chocolat’s signature hot chocolate during Fall and Winter months.